Do HP 350/351 cartridges fit any printer currently available to buy? The Black & Tri-Colour HP 350XL / HP 351XL Ink Multi-Pack (HP CB336EE and HP CB338EE) is compatible with around 30-40 printer models. If you need any further assistance do not hesitate contact us. What ink is for HP ENVY 5020 Printer (M2U91B)? How do I know when an ink cartridge is out of ink? Thank you for your question. Your printer should prompt you when your ink is running low and your prints may begin to come out faint and generally reduced in quality. The HP Envy 5020 is an all-in-one inkjet printer with the ability to print, scan and copy. With an affordable price tag, it is suited for photographs and everyday documents of domestic use, while wireless capability and apps allow printing from multiple devices. Its compact size means it can be easily placed in limited spaces. With duplex printing as standard, it cuts down on paper wastage, saving you money and benefitting the environment. The setup can be complicated, but once operational the device is easily managed from the control screen, computer or smart devices. Printing speeds can be on the slow side. Measuring just 445x367x128mm, the HP Envy 5020 is a compact device. Printing speeds are 10 ppm in black and 7 ppm in colour, although there is a faster draft mode if required. The monthly duty cycle is 1,000 pages and print resolution is 4800 x 1200 dpi in colour and 1200 dpi in black. The printer can be monitored and operated from the high-resolution monochrome display screen measuring 5.5 cm. Connectivity is achieved via a USB or wirelessly. A paper input tray holds up to 100 sheets. 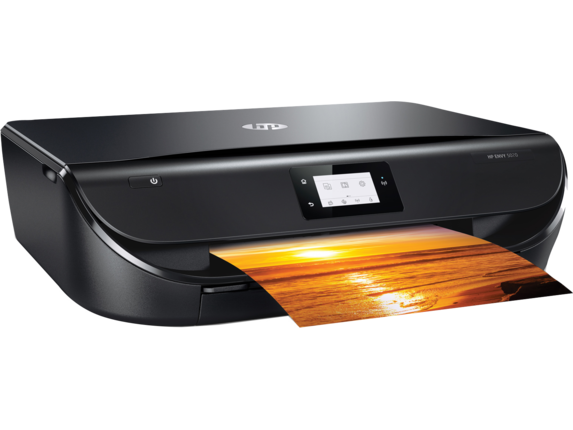 With Wi-Fi connectivity and smartphone apps, it is easy to print and scan on the HP Envy 5020 from multiple devices, including directly from social media and the cloud. You can take advantage of HP Instant Ink services to ensure you never run out of ink, which is delivered directly to your door. It prints in duplex, automatically resulting in paper savings. Setup of the HP Envy 5020 is complicated and time-consuming. Printing speeds are slow, which may be frustrating for large print jobs. This device does not have a fax function.